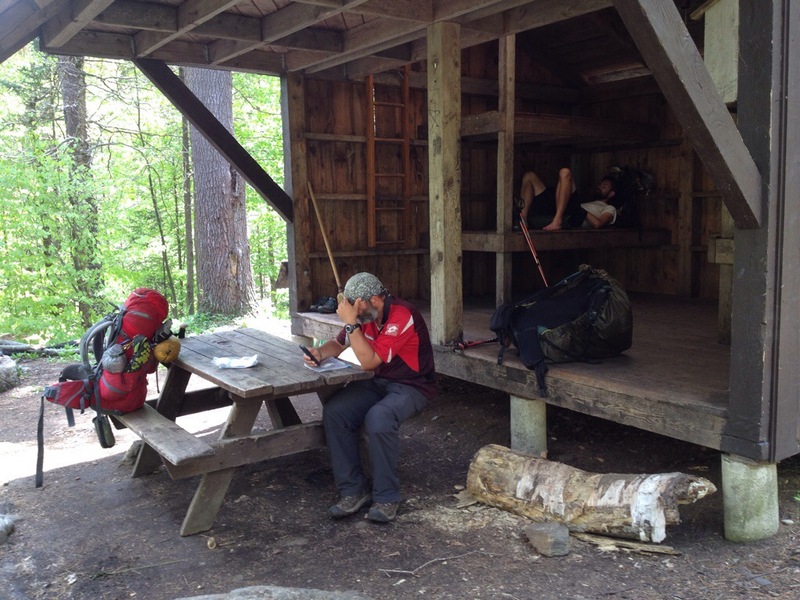 Kay Wood Shelter, Mass., AT NOBO mile 1,562.2, Monday May 26, 2014 — The trail is full of treats. New Jersey had its delis, Upper Goose Pond had its pancake breakfast and hot coffee this morning, and today we met the Cookie Lady. The Cookie Lady lives less than 100 yards off the trail and has been baking free cookies for hikers for decades. Nearly all the hiker biographies mention her warm welcome, free water and opportunity to buy a coke or an ice cream bar. Tomorrow the town of Dalton features Tom Lavarty who has been welcoming hikers to tent in his yard for free. These are true trail angels, people who give of themselves to make the trail a special place. Without them, this hike would not be such a special experience. Today’s weather was sunny and pleasant. The trail was nearly flat and rock free. 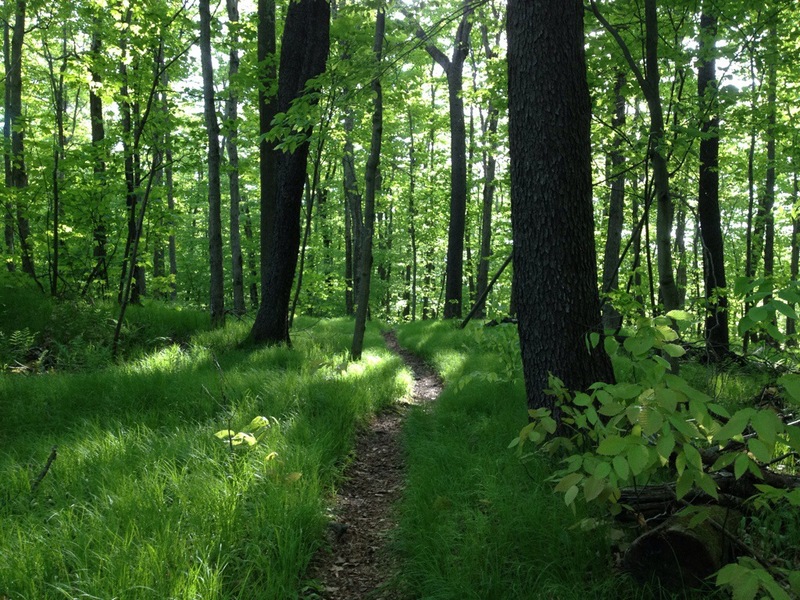 The forest was verdant and inviting. It almost sounds like a prayer, but that’s the way it was. 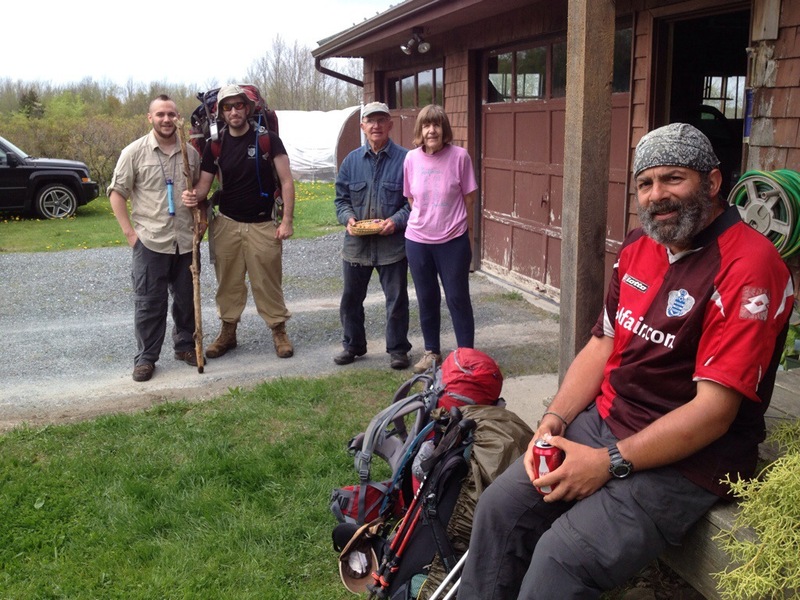 We broke for lunch at October Mountain Shelter with Dennis, a section hiker from Florida. Life was good.